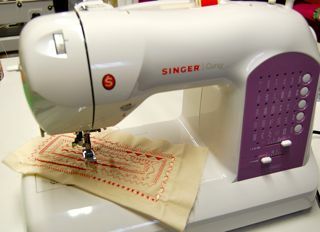 Using the Singercraft to create rugs and "sew" much more! Try learning how to use this Singer Fashion Aid in small chunks before beginning your rug or larger project. Let's just try a small square. Cut your material to size. I cut mine just a little longer than the Singercraft and about 8" wide. Wrap your yarn around the Singercraft as you see in the photo above. 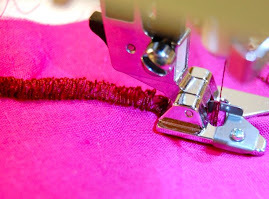 Place under your machine and begin to sew a straight stitch. The only concern is to be sure your needle is sewing between the two prongs of the guide. You can see in the next photo the top of the guide showing through. Notice the first layer of yarn was Orange. After I sewed it straight down the length of the guide, I raised my needle and presser foot. 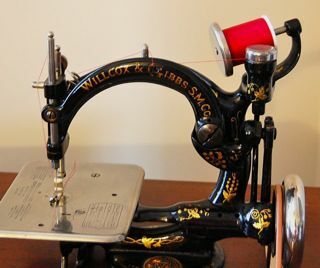 I then opened the latch at the top (see it right behind the presser foot), and pulled the guide away from me - the blade cuts through the yarn creating the fringe. Now, if your guide doesn't have the blade. Then remove from under the presser foot (same as above) and using your scissors, just cut the fringe. After I completed the first row, I wound the yarn around the Singercraft Guide once again, placed next to the first row, and began to sew between the two blades just as before. Remove the guide from your machine and cut the fringe. That really is all there is to it. In this photo, you can see the blade being pulled down the length of the yarn, cutting the edges. Fluff everything out and it does begin to look like a rug! Adding a third row of yellow. Just experiment using your scraps of yarn until you have mastered the Singercraft. In no time you feel comfortable. Now, to make a rug does take a while and you can see the Singercraft tool is just so long. All you need to do is to cut your base fabric the size you wish your rug to be, plus some extra on the sides for binding later. Then begin at one corner and start using your tool. As you progress, you will see that you are lining the next row to meet the previous one. Try creating a design in the center. If I had cut my base fabric twice as long, I would have maybe started my second row directly under the first - no set rules on where you start or where you go next. 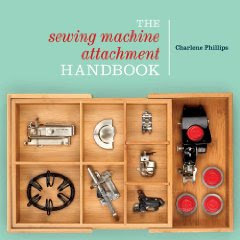 The most important thing to think about as you plan your project and begin sewing is to keep the heavier portion to the left of your machine. 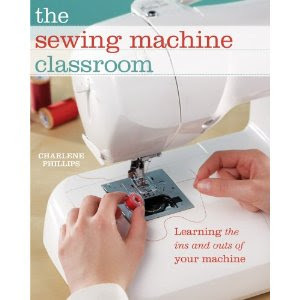 That just makes less bulk under the arm of your sewing machine! Next project? 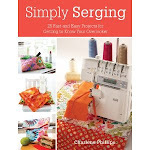 A dear sewing friend sent me info on making Singercraft Afghans! So, that is the next challenge. Send me a comment or an email and let me know how you are doing or what you are making. Send me a photo and I will certainly place it here! Thank you so much for these illustrations and instructions. I found a Singercraft Guide in my Grandmother's stash and have wonder how to use it. What a blessing! Could you share the info on how to make the afghan with the Singercraft guide? I'd love to try it. Hi! My name is Myriam and i want to tell you that I inserted a link of your post to my Blog. Hello Myriam! Thanks for sharing my blog. I hope it will help others. I have such fun playing around with these awesome "toys". Maybe some of your fellow blog followers have some new ideas for me to try. You have such lovely crochet techniques! I must share your blog with readers. Toodles! Just this evening I was looking for some buttons in my aunts sewing box and ran across the Singercraft Guide. 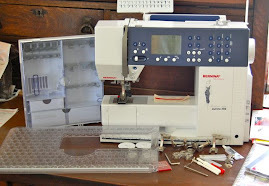 I had never seen it before and though the instructions that came with it were OK your make SEW much more sense. Thank you for your help. Thank you for the compliment and hope you have tons of fun with the SingerCraft! I have something that is similar, and is vintage - but not a Singer. Need to get around to working it and see how they are alike. Thank you! I have one and no clue on how to use it. Mine does have the original instructions but the pictures make it so much clear. Mine has the blade, any clue if I can get a new blade adapted? I am such a visual person that I always have to have clear photos also! Glad they help. You can try sharpening the blade a bit if getting dull, but most of the time I find additional ones on the internet on sites like etsy, ebay, etc. You can use it without the blade as I have mine at times, just cut with scissors where appropriate. I did not know of this attachment (have a generic machine) so I modified and bent a wire clothes hanger and wah-lah, that worked for me!!!!! Thanks for the pics.